Griffith Business School, in collaboration with strong Global Advisors Pty Ltd is offering a Doctor of Philosophy (PhD) scholarship worth $AU 32,000 per year. This scholarship is for applicants wishing to undertake full time study in applied finance research topics such as: market efficiency, market microstructure, transaction costs, asset allocation and more. This scholarship is worth $AU 32,000 tax free per year for three years (total $AU96.000), and will be paid as a fortnightly stipend. This scholarship is open to students completing a Doctor of Philosophy degree program. Applicants should have an Honours degree (1 or 2A) or equivalent. This scholarship is open to both domestic and international student applicants, although applicants should note that this award is a living allowance scholarship only, and will not cover tuition fees. Overseas candidates will need to cover the cost of enrollment fees and any other compulsory costs. Applications for the Business strong Global scholarship in applied finance close Sunday 29 May, 2011. Prospective students who are not currently enrolled in a higher degree by research at Griffith University should complete the application steps for admission to a higher degree by research. 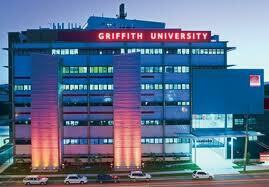 Demikianlah informasi Business H3 Global Research Scholarship, Griffith University, Australia kami sampaikan, semoga bermanfaat.